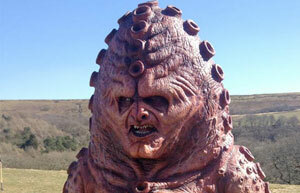 Steven Moffat has come out to explain his reasoning to bring back the Zygons in the 50th anniversary special. “Obviously the Daleks had to be there, the Daleks had to come to the party because they’re really scary and are part of the iconography of Doctor Who – possibly the central part – so we had to have them. This entry was posted in News and tagged 50th anniversary special, Dalek, day of the doctor, Doctor, Doctor Who, DoctorWho, Moffat, monster, Radio Times, Steven Moffat, Zygon by podbits. Bookmark the permalink.